This is Gabriella's funny throwback to the day she met Henry, back in October of 2014. 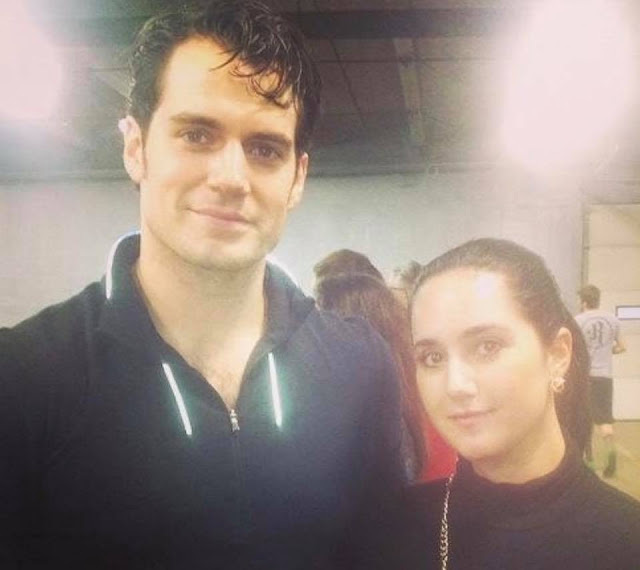 He was in Detroit filming Batman v Superman, when he attended the Michigan Barbell Classic. Here is our wrap from that day. Haha... It's a very nice caption! *big smile* It's funny, but I know she means it. Oh God... Henry's looking so super handsome in all the pics from that day, watching these crossfitters or powerlifters or whatever they're known as, show their skills, and supporting his trainer as his spotter (not sure what that is, it's what's in the intro) I think it's impossible to not fall in love with him; and ofcourse, it'll break your heart! *sigh* D.